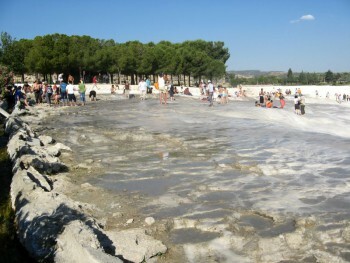 Hierapolis (Ancient Greek: Ἱεράπολις, lit. 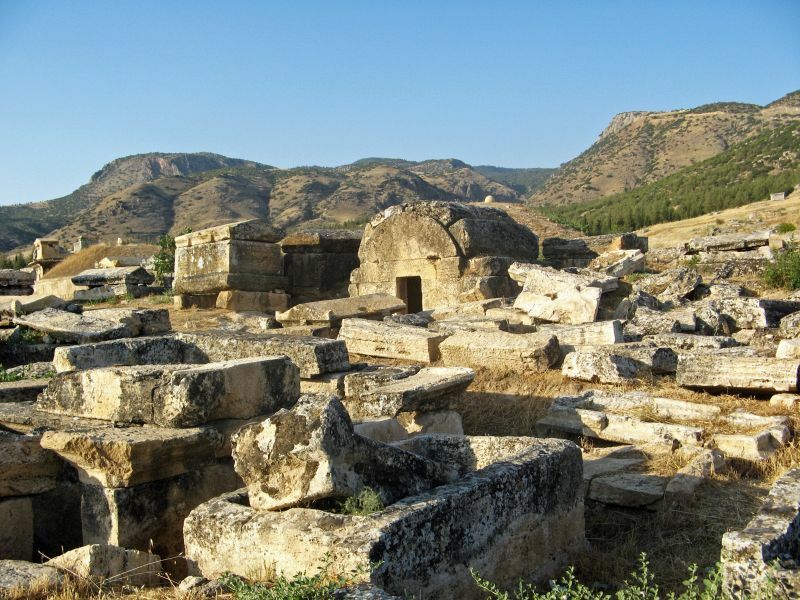 “Holy City”) was an ancient city located on hot springs in classical Phrygia in southwestern Anatolia. Its ruins are adjacent to modern Pamukkale in Turkey and currently comprise an archaeological museum designated as a UNESCO World Heritage Site. 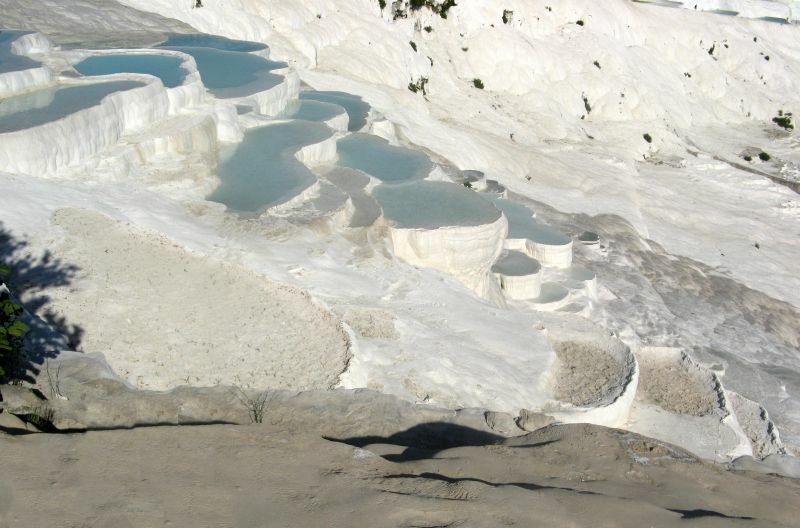 The hot springs have been used as a spa since the 2nd century BC, with many patrons retiring or dying there. 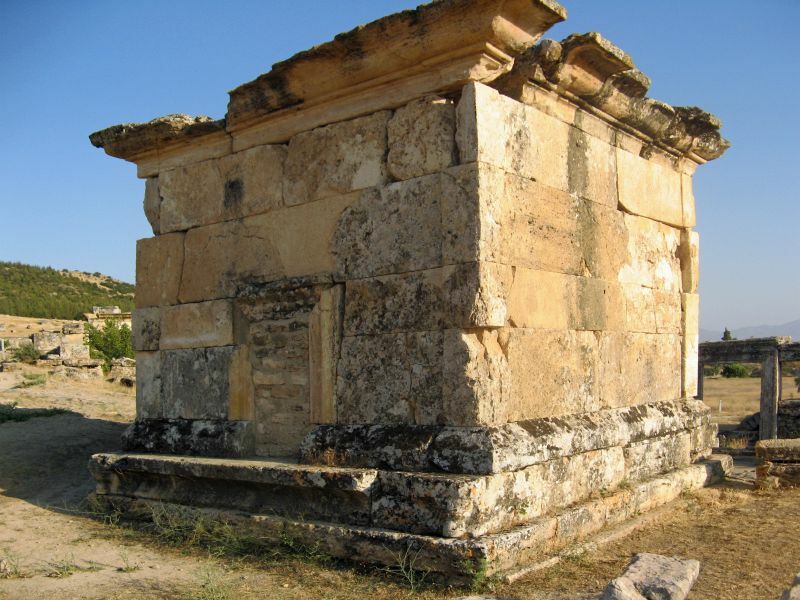 The large necropolis is filled with sarcophagi, most famously that of Marcus Aurelius Ammianos, which bears the earliest known example of a crank and rod mechanism. 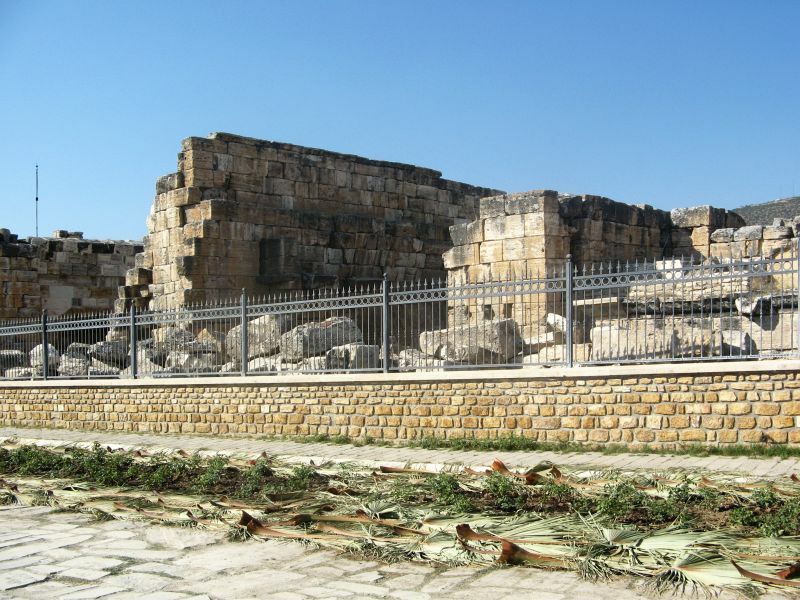 The great baths were constructed with huge stone blocks without the use of cement and consisted of various closed or open sections linked together. There are deep niches in the inner section, including the bath, library, and gymnasium. 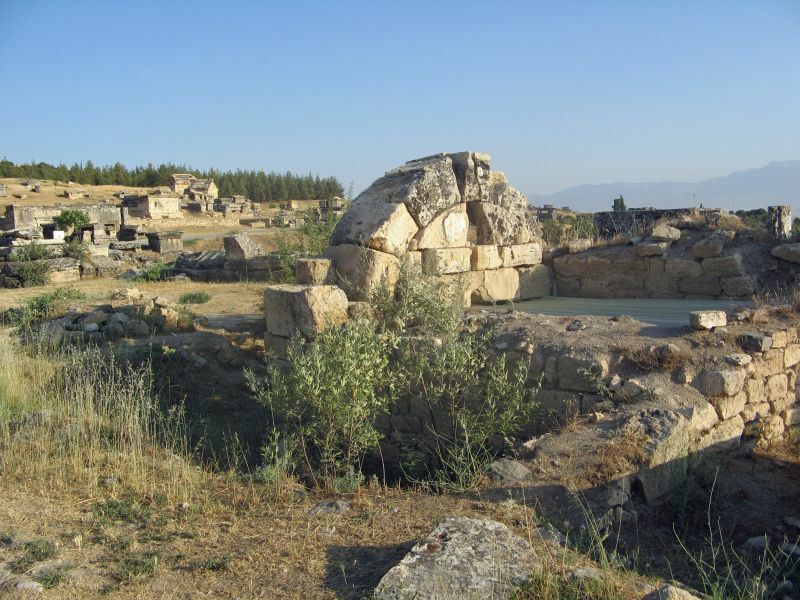 Hierapolis was founded as a thermal spa early in the 2nd century BC within the sphere of the Seleucid Empire. 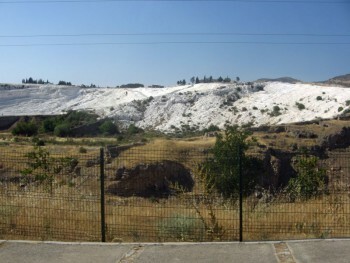 The city was expanded with the booty from the 190 BC Battle of Magnesia where Antiochus the Great was defeated by the Roman ally Eumenes II. 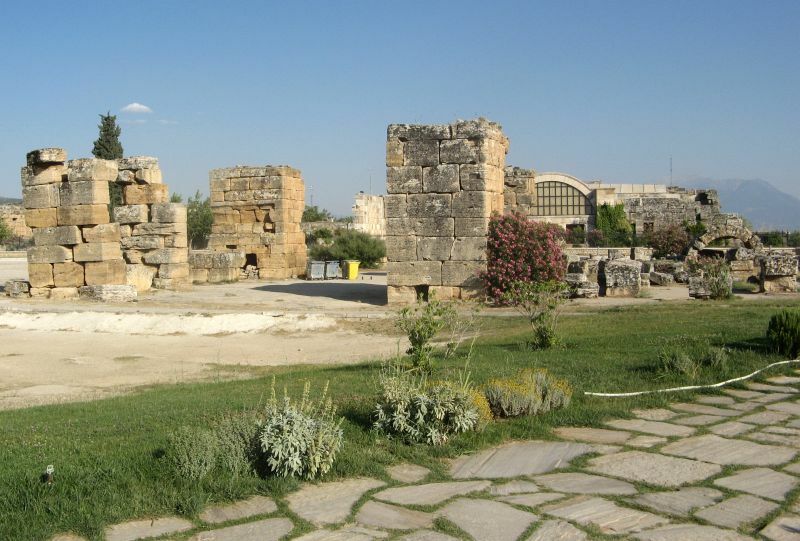 Following the Treaty of Apamea ending the Syrian War, Eumenes annexed much of Asia Minor, including Hierapolis. Hierapolis became a healing centre where doctors used the thermal springs as a treatment for their patients. 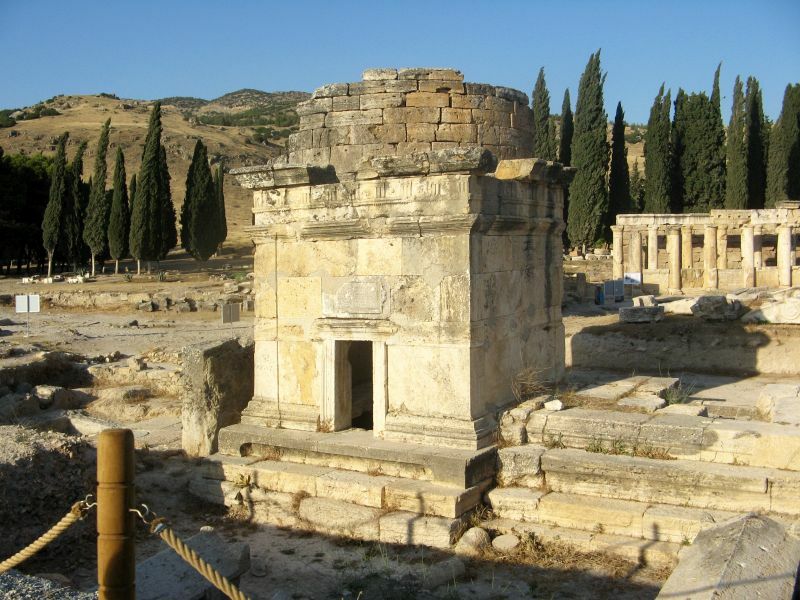 The city began minting bronze coins in the 2nd century BC. These coins give the name Hieropolis. 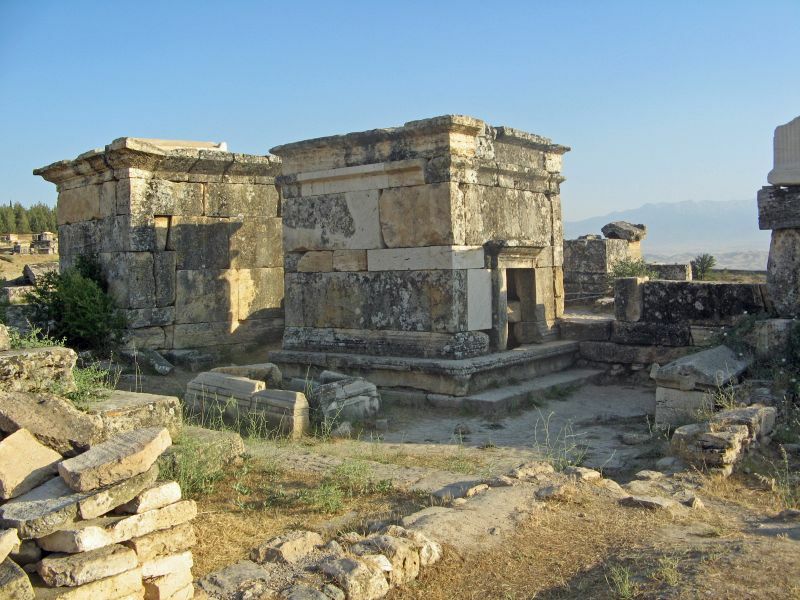 It remains unclear whether this name referred to the original temple (ἱερόν, hieron) or honoured Hiera, the wife of Telephus, son of Heracles and the Mysian princess Auge, the supposed founder of Pergamon’s Attalid dynasty. 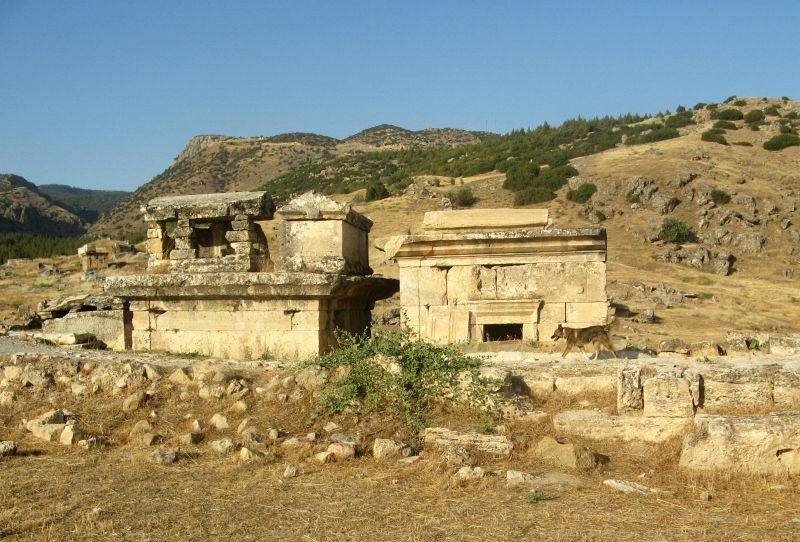 This name eventually changed into Hierapolis (“holy city”). 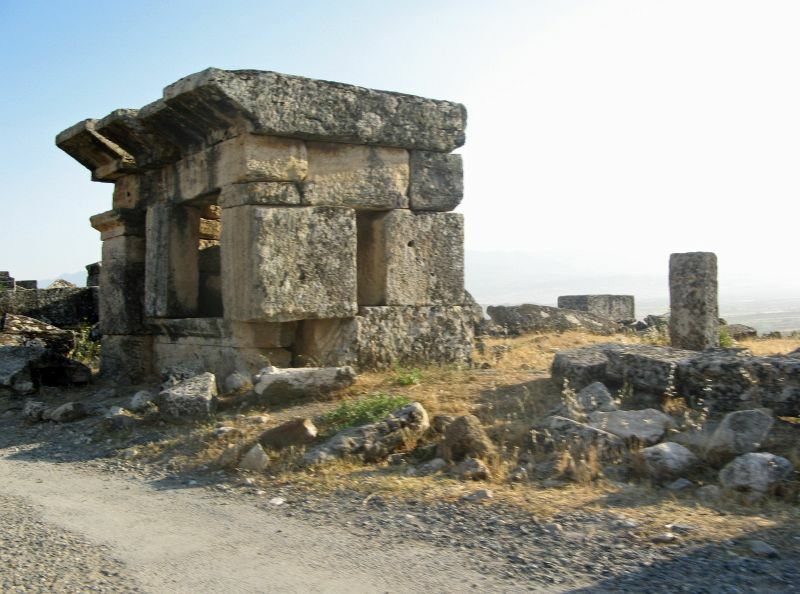 In 133 BC, when Attalus III died, he bequeathed his kingdom to Rome. 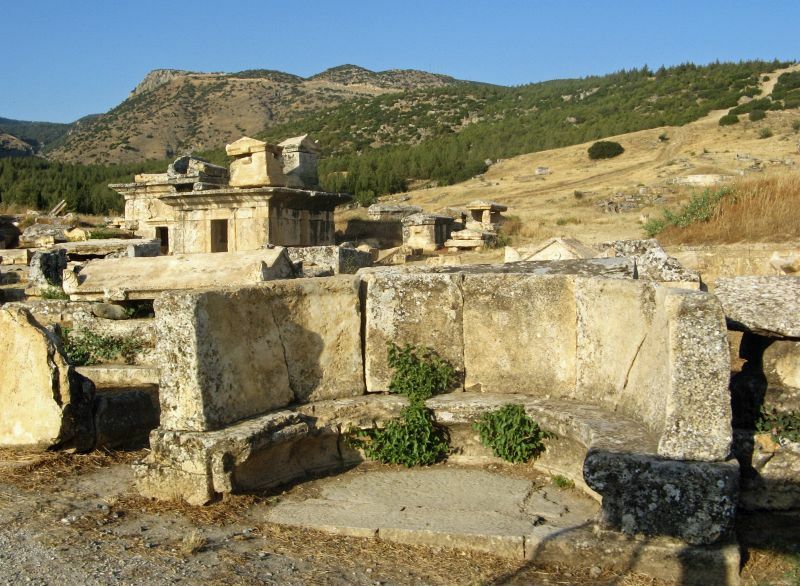 Hierapolis thus became part of the Roman province of Asia. 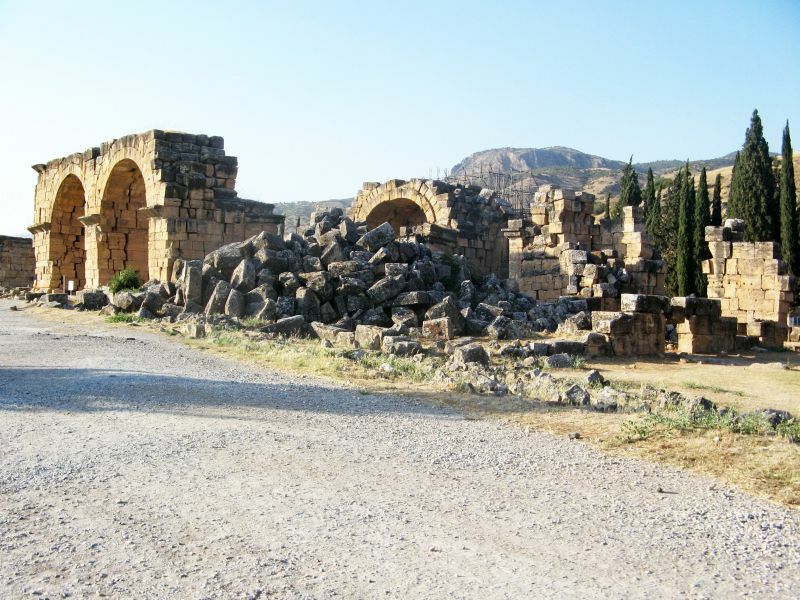 In AD 17, during the rule of the emperor Tiberius, a major earthquake destroyed the city. In the year 60, during the rule of Nero, an even more severe earthquake left the city completely in ruins. 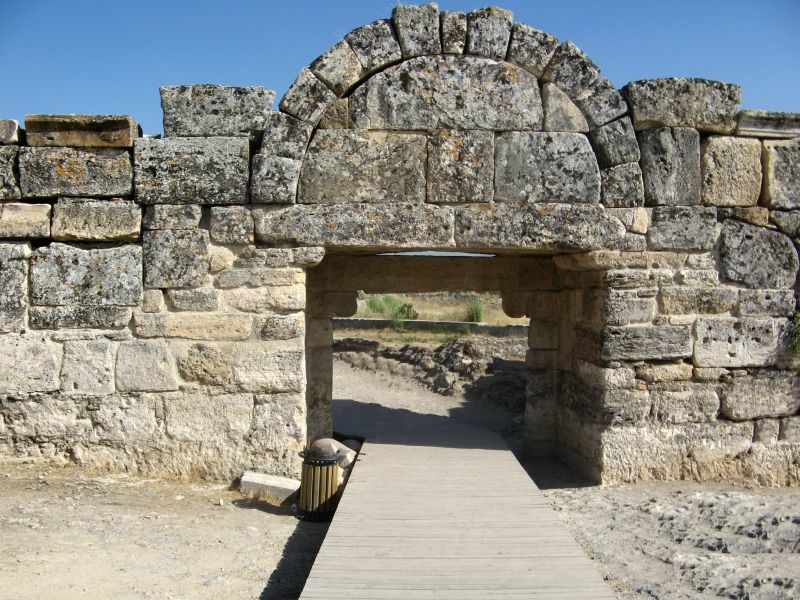 Afterwards, the city was rebuilt in the Roman style with imperial financial support. 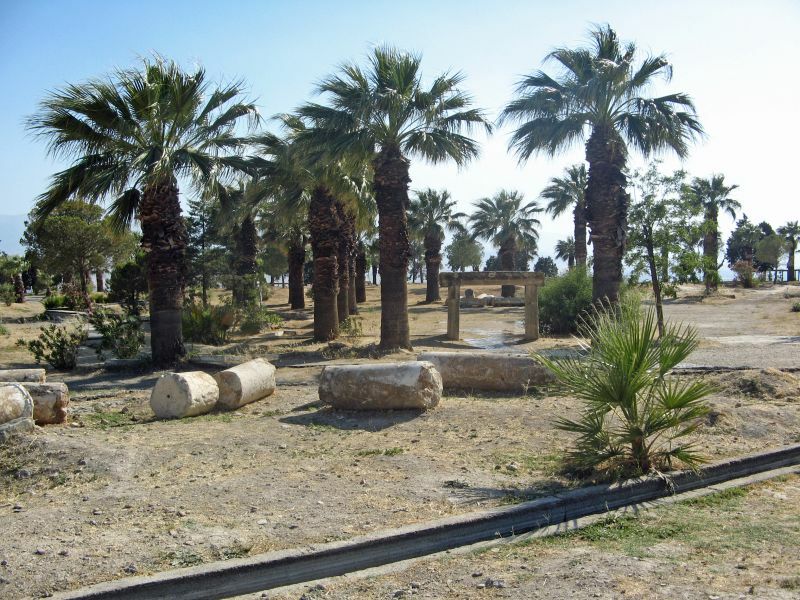 It was during this period that the city attained its present form. 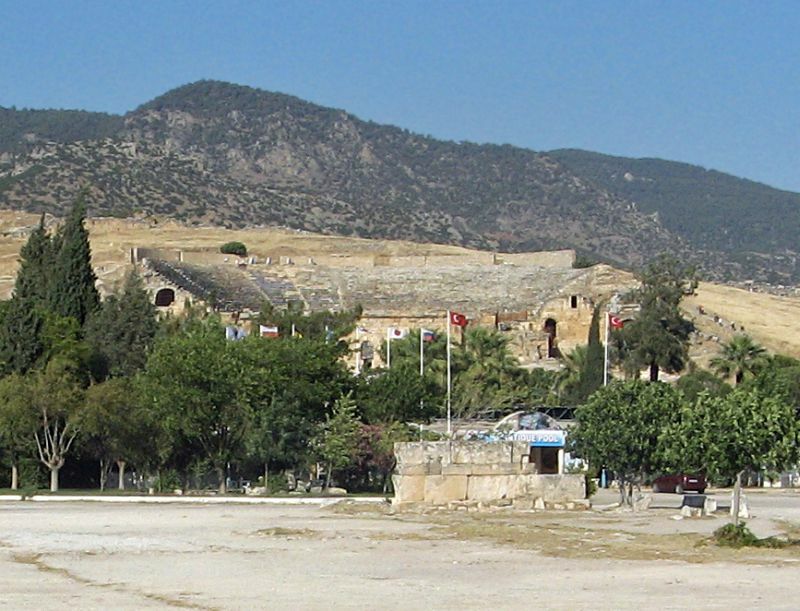 The theatre was built in 129 for a visit by the emperor Hadrian. 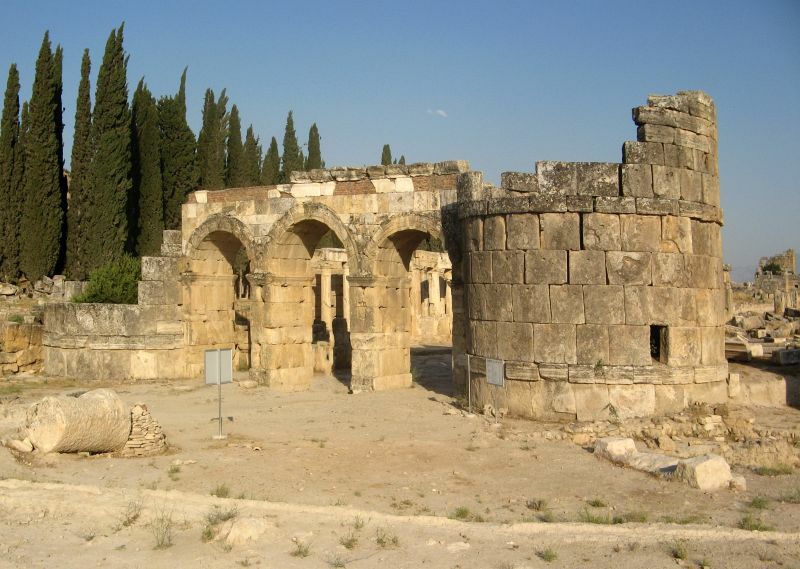 It was renovated under Septimius Severus (193–211). 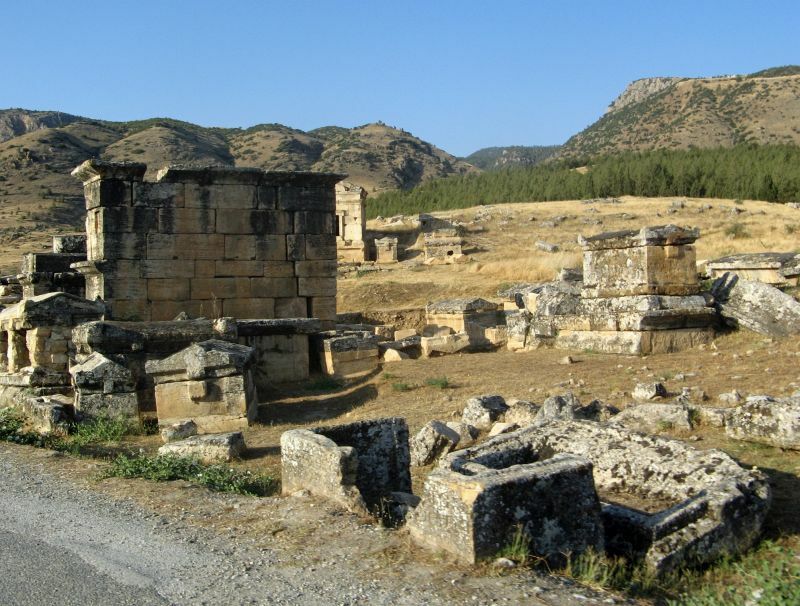 When Caracalla visited the town in 215, he bestowed the much-coveted title of neocoros upon it, according the city certain privileges and the right of sanctuary. 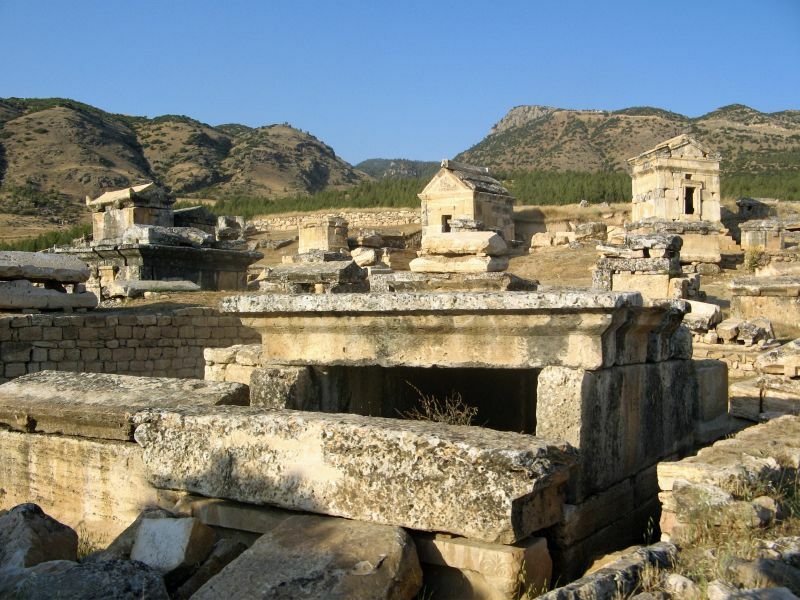 This was the golden age of Hierapolis. 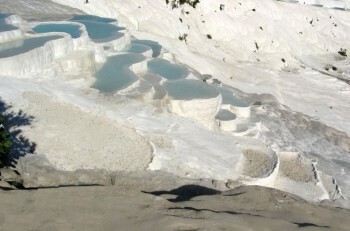 Thousands of people came to benefit from the medicinal properties of the hot springs. 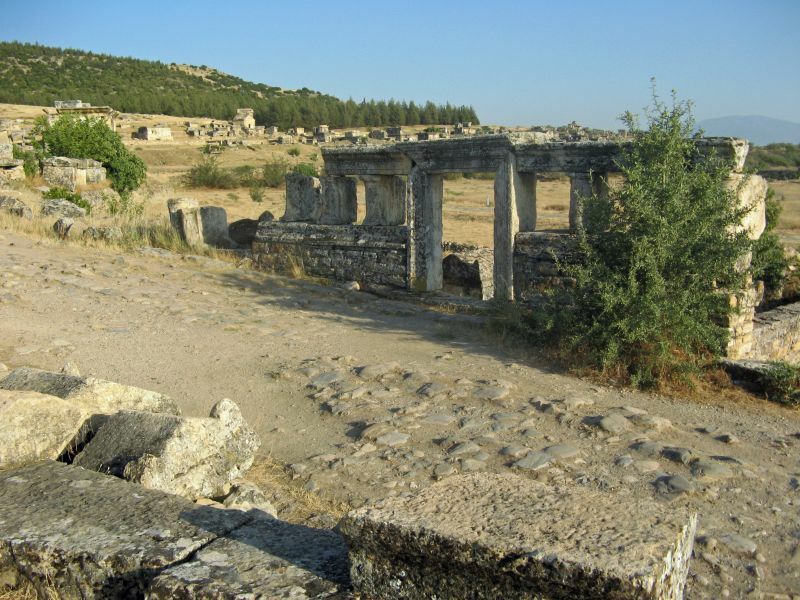 New building projects were started: two Roman baths, a gymnasium, several temples, a main street with a colonnade, and a fountain at the hot spring. 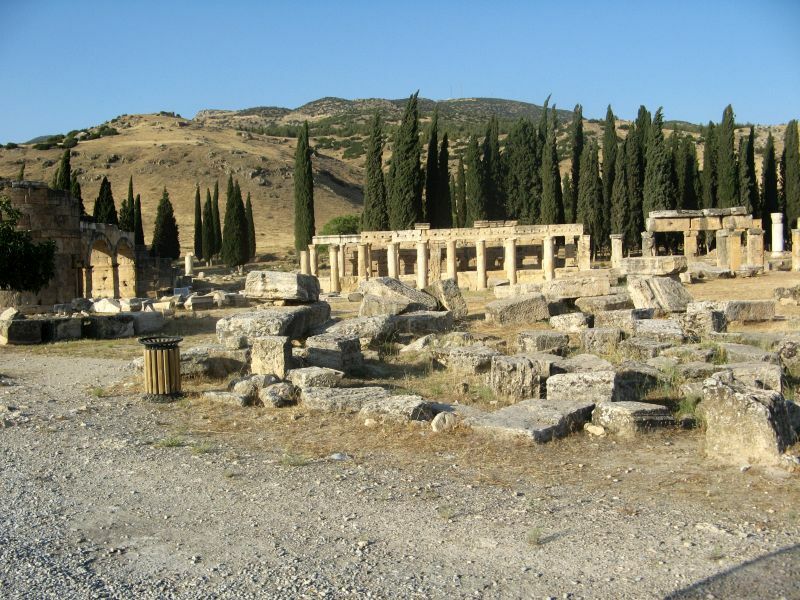 Hierapolis became one of the most prominent cities in the Roman Empire in the fields of the arts, philosophy, and trade. 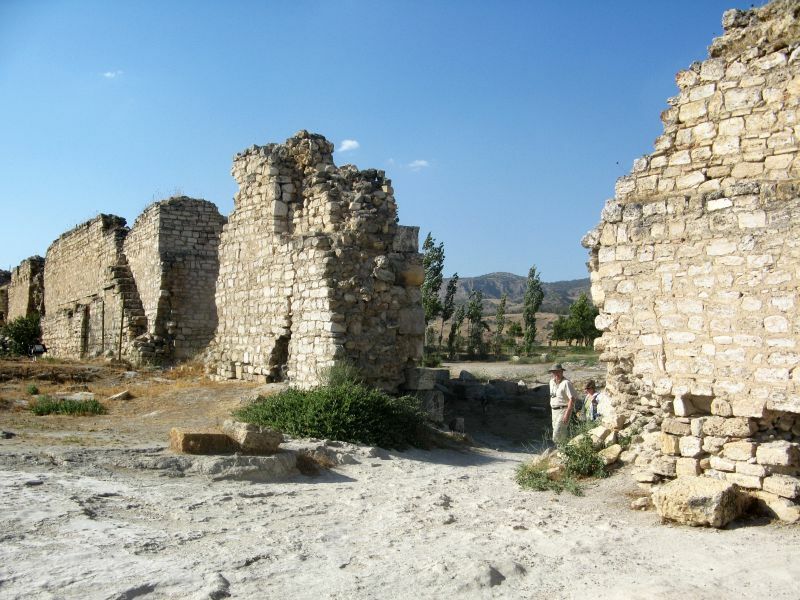 The town grew to 100,000 inhabitants and became wealthy. During his campaign against the Sassanid Shapur II in 370, the emperor Valens made the last-ever imperial visit to the city.